I. Oak – Town & Country Furniture. Kenilworth. U.K.
We work in solid oak. All items are made when ordered and made to size. Drawer boxes, internal shelves and unseen backboard can be in redwood to keep down costs. The price of oak has increased again in recent weeks and as a rule is about 2.5 times the price of pine. So an item made of oak will be about twice the price of pine plus a bit. The work content is a bit more. Oak chairs. I have put pictures of oak chairs we can supply. We do not make our own chairs. 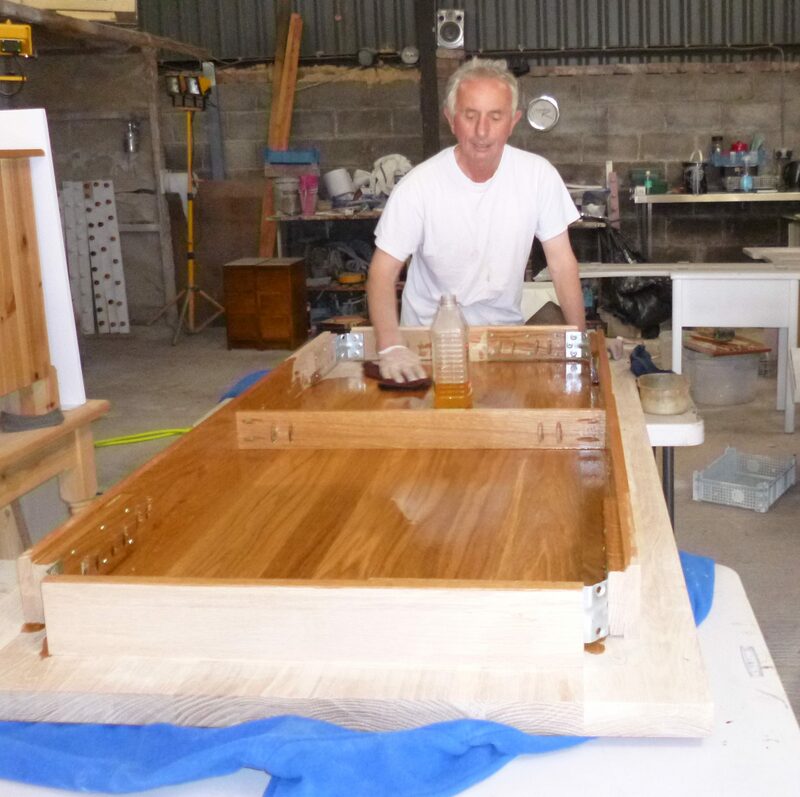 They arrive made in raw Oak and we do the finishing work as required, or you can buy them raw and do the work yourself. Tables. Made to any size and height. Please call for details. Furniture. Almost anything can be made. Clean simple designs work best in Oak. Oak tops on painted furniture is very popular. Call for a chat. Oak hall table. 2 drawers with 2 shelves. to size. Oak.Hall table and bench. In the workshop, just finished.